For 50 years, Rubber Industries has been committed to meeting our customers' custom molded rubber needs. Our expertise enables us to provide solutions to the most difficult applications. Our focus at Rubber Industries is service to our customers. Whether your needs are for 10 pieces or millions, we will establish a partnership with you from the beginning. In this way, we can work as a team to create your exact needs. Your specific requirements are considered throughout every stage of the project. Our engineers will evaluate the best possibilities for part and mold design, while our chemists will formulate a material specifically to meet functional, color, and environmental requirements. As experienced professionals, we will work with you to find solutions to your most demanding challenges. Our modern facility is equipped to provide complete in-house production capabilities for injection molding, transfer molding, compression molding, LIM molding, Fracking Plugs plus in-house mold making. These broad capabilities enable us to control product quality, price, and delivery. For 50 years, Rubber Industries has provided quality customer service, the highest quality parts and tools, and the fastest molding and injection services around. Now, the third generation of our family is proudly serving domestically sourced businesses. We create millions of parts and tools for our customers every single year and we also import tools from our trusted partners in Asia for our customers. More importantly, the brands you trust daily trust Rubber Industries to manufacture their most critical parts. One of our renowned services is our work in custom rubber molding. We have a complete staff of experienced toolmakers (mold builders), chemists, engineers, mold designers, and mold mixers in-house to properly provide for our customers. We can create custom molded seals, o-rings, diaphragms, and more. We have thousands of different formulas to match the needs of your application. Our custom tooling is the best on the market. We use quality 4130 steel for all of our tools. That includes our prototypes. This ensures that our customers receive only the best tools and that our tools will last for the extended life of your project. Save your company's money and hire us for your custom tooling needs. We have thousands of formulas to create your rubber and silicone products. Such as our reliable and flexible in use LSR, epdm, epdm to stainless bonded, epdm to metal bonded, chloroprene (neoprene), nitrile (NBR), SBR, HNBR, FKM, Silicone and Viton. We are the fastest prototyping and production services around. Our manufacturing plant is open 24 x 7 x 365 to ensure that our consumers are able to receive their custom molded and custom tooling parts on time. 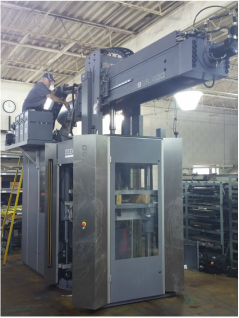 Picture of one of our brand new rubber injection presses with a 14 pound injection shot capability and a 32" x 38" platen size allows us to run high cavity count molds to deliver the quality and pricing to be competitive on a global scale. We have many large injection presses, giving us the flexibility to meet your project needs. Two new injection presses being installed! We are one of the largest custom rubber and silicone manufacturers in the United States with us producing millions of items for several major industries on an annual basis. We do this by having a large US based factory equipped on 5 acres with hundreds of tools and a highly trained staff. We are your one stop shop for domestic and Asian sourcing. Don't waste your time and money working with multiple suppliers.... instead, we provide all the services needed for your precision rubber, silicone, and LSR parts! Our extensive experience makes us a prime rubber manufacturer for the medical industry. One way we do this is with our custom molded rubber overmolding process. This custom molded rubber overmolding process means that we can adhere custom molded rubber to metal along with a variety of other materials. This means that you can overmold materials for a custom functionality that is unique to your needed performance specifications. This custom molded rubber to metal process is especially good at encapsulating electronic items to protect them from damage. For instance, we overmold contactors with silicone. Our custom molded rubber and custom tooling process is especially good for the industrial field. This is because we can make custom molded rubber products in a variety of sizes, from tiny, medical implants (29 day or less) to large industrial goods . 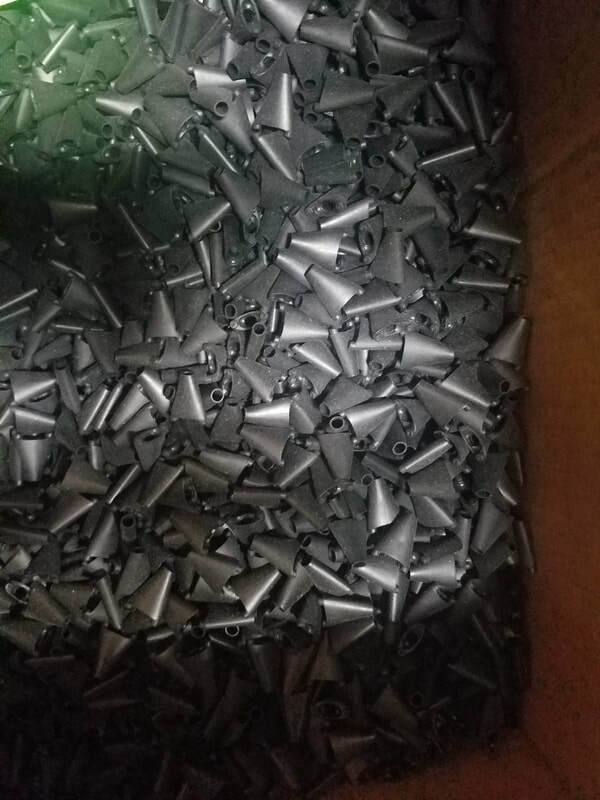 Our custom molded rubber parts can be made out of materials designed to stand up to repeated use, and we can work with manufacturers in order produce custom molded rubber products that can stand up to corrosive materials. We can even use our custom overmolded process in order to produce custom molded rubber parts that can take advantage of using metal items as part of the overmolding process. This custom molded process is especially useful when producing bellows that will need to stand up to repeated use while maintaining flexibility. 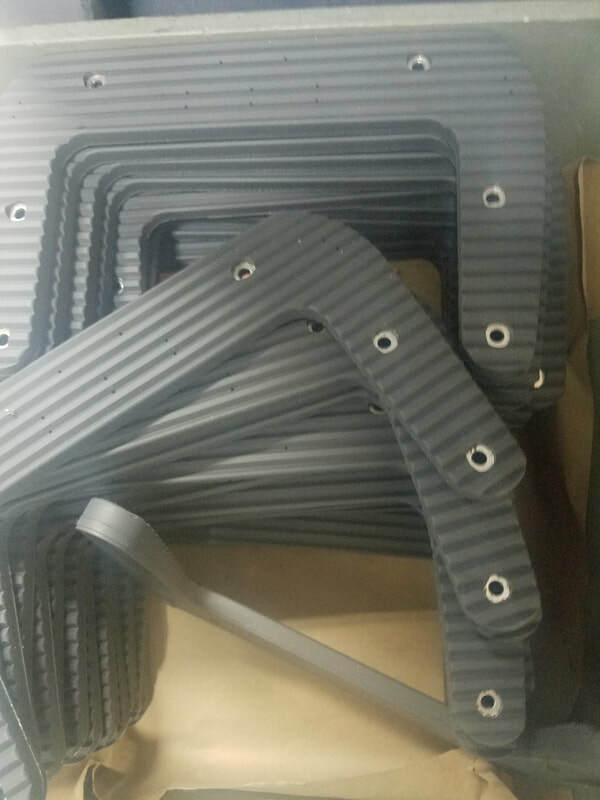 The vehicle and transport related manufacturing field is a major buyer of our custom rubber molding processed parts. This is because the car and transportation industry consumes a large number of custom molded items during the prototyping process during the ramp up to production scale parts. We are able to produce custom molded rubber for common car items such as seals, gaskets, diaphragms, and o-rings. Our custom tooling is especially useful in this field. 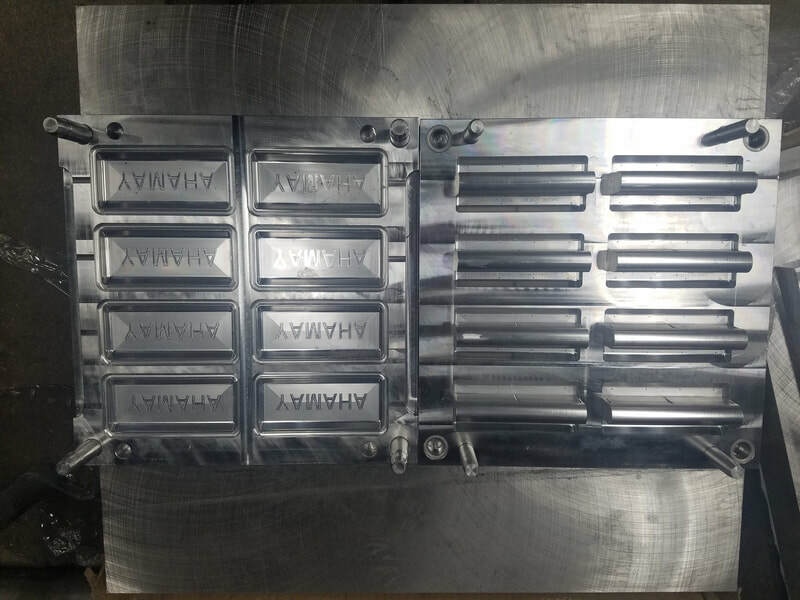 This is because it allows us to manufacture items with a very complex shape, and that are of a size that many manufactures cannot make with their milling machines because of our in-house tooling and programming expertise that dovetails with our new, modern CNCs. This means that we can produce large quantities of rubber parts efficiently with a very complex shape. We are especially skilled producing items for the consumer market, and we have the equipment and factory space needed to produce hundreds of items. We can rapidly produce items ranging from novelties to parts for home goods quickly. We are skilled at producing items with undercuts and complex geometry on our mass produced parts. This allows our customers to have access to a large number of rapidly produced high-quality items that can meet the most demanding applications and save money on finished goods by combining design into one part instead of multiple parts that are assembled. We are skilled at producing custom items with the ability to handle small batch orders in addition to high volume production. This is sometimes referred to as low volume production. It also benefits our customers by reducing inventory at their facilities by our flexible, rapid response manufacturing process. This process means that we can meet our customer's need on either small or large orders. Our turnaround time on small orders is quick and we can ship items very quickly. We are experienced at rapidly producing prototypes. We have an experienced staff that includes knowledge of chemistry and manufacturing engineering who can help our clients finish their CAD before producing a model so the part is manufacturable in a cost effective manner. We understand that our clients need their prototypes quickly, and so we take extra steps to make sure we deliver prototypes to fit our client's needs. We are the fastest prototyping and production services in the industry. We have a long history of satisfying our customers over many decades... 50 years! We do this by working with them during the ordering process. We can then offer the example products (prototypes) in real materials from real molds so our clients can make sure of functionality before beginning the production process. We seek to establish long term relationships with our clients. We do this by maintaining an open line of communication that allows us to continually improve our service while providing competitive pricing, quality, and timing of delivery. We have invested millions of dollars in our plant and equipment in the last four years alone so you benefit from our modern toolmaking and manufacturing processes for your precision parts. We offer consistently high standards of service, quality and value because we have been under the same ownership for 50 years. Consistency in ownership is one of the reasons our clients enjoy the fastest prototyping and production services in the industry. Brands that trust Rubber Industries include 3M, DuPont, General Electric, Ford and Honeywell. In-house engineering, a team of full-time chemists and a 24 x 7 x 365 operation allows us to respond to your requests promptly and our lean manufacturing practices keep your costs low. You receive the fastest turnaround times in the industry because we work 24 x 7 x 365 and mold parts every day of the year. From CAD to tooling to production, our clients can be assured of the fastest turnaround times, unparalleled levels customer service and the most rigorous quality control standards in the industry. Projects requiring extensive tooling, custom molds and detailed design and programming work can often be completed in just a week. The names you trust in the medical, automotive, industrial, consumer and defense sectors all trust Rubber Industries for their silicone molding and rubber molding needs. With tens of millions of pieces manufactured annually and the largest in-house tool and CNC shop in the combined rubber, silicone, and LSR industry, you can be assured that your project will be handled properly and delivered on time whether you need 10 pieces or millions. Our campus stretches over more than five acres and allows us to offer tooling, rapid prototyping and high or low volume production all under one roof. We are the only company in the custom molded rubber, silicone, and LSR sector combined that can make this claim. In addition to investing millions into our Minnesota campus in recent years, we have invested heavily to expand our Asian capacity to provide our clients with even more rapid tooling, prototyping and production options. We also have many decades of experience dealing with Asian suppliers and importing custom molded rubber, silicone and LSR parts from Asia. Keeping all of our custom tooling, prototyping and production under one roof makes keeping track of your project easy and saves you both time and money. Having our operations centralized also allows us to respond quickly when our clients have to make changes even when we are producing millions of parts. Why deal with several companies located miles away from each other for your crucial custom molded EPDM silicone and LSR seals, bellows, gaskets, o-rings and diaphragms when you can find everything you need under one vast roof. We have invested heavily to ensure that our Minnesota campus can turn around even extremely complex and demanding projects in just seven days, and our team of experienced professionals work within walking distance of each other so communication between them is fast and valuable time is not squandered. state-of-the-art facility that offers custom tooling, prototypes and production all under one roof and a team of professionals with decades of experience are the reasons why we are able to offer the fastest turnaround times in the industry and support services second to none. The brands you trust daily trust Rubber Industries to manufacture their most critical parts, and our client list includes some of the biggest names in the defense, industrial, medical, consumer and automotive sectors. We understand that all of our clients have unique needs. Our team of engineers work diligently to ensure that all part and mold design possibilities are explored and evaluated before final decisions are made, and our chemists have years of experience formulating materials designed to meet specific requirements for function, color and environmental impact. Bonding rubber to metal requires custom adhesives that are formulated to provide a strong, lasting and reliable adhesion. We are experts in this field with decades of experience producing rubber and silicone to metal bonded and rubber to stainless bonded products. The insert molding process that is used to make rubber to metal bonded and rubber to stainless bonded products is also used for overmolded pieces. Insert molding is an extremely cost-effective process and allows us to provide moldings that are far stronger and more durable than glued parts at extremely competitive prices. The fastest prototyping and production services and a focus on lean manufacturing make us the smart choice for custom molded and overmolded seals, bellows, gaskets, diaphragms and o-rings whether you need as few as 10 pieces or as many as a million. Time is money in the business world and delays of even a few days can be ruinously expensive when custom components are needed to complete an important project, which is why the brands you trust daily trust Rubber Industries to manufacture their most critical parts. The fastest complete silicone services from proto to production. Your custom tooling is made in house from 4130 steel to create the best precision steel tooling with the best lifecycle cost. Our custom molding services include injection, transfer, and compression molding abilities. The production of overmolded parts isn't just a major part of our business. It's a specialty of ours. Our custom rubber molding can be done for either high volume or low volume production. We don't shy away from very large orders and we proudly accept orders that are too small for our competitors. We offer a varied list of services for rubber to metal bonded and custom silicone to metal bonded items. We can bond any of our custom formulas to materials such as brass, aluminum, steel, and even glass filled nylon to match your needs perfectly. Our comprehensive list of services are used by a variety of industries and each one trusts us to complete their project in record time, with the utmost attention to detail, and while producing the highest quality product. The medical field relies on us for the safety and consistency of our custom silicone and custom rubber items. The industrial sector uses our bellows, diaphragms, and more to create and maintain their most demanding machinery. The automotive industry uses our seals, gaskets, and other parts to build the cars that you drive daily. The consumer market is filled with our custom pieces and our work can most likely be found in your home right now in the form of o-rings or similar pieces. Our dedication to quality and the speed of our services has even brought us into a partnership with the defense sector. At Rubber Industries, we pride ourselves on always providing the best manufactured products at rates that match the customer's budget. We also do this faster than anyone in the industry by having a perfected and adaptable process, 24/7/365 production hours, qualified experts on staff, and trusted partners in China to help our U.S.A based facility with our most demanding orders. We use an absolutely massive number of custom formulas to create every rubber product that leaves our doors. We can create parts from EPDM, NBR, Viton, SBR, Butyl, and many more different forms of rubber. These elastomers can often be blended to create truly unique products. We don't just offer custom items made from a single material or formula, either. We can perform rubber to metal bonding to provide a reliably bound part that can withstand any application you use it for. This can be anything from EPDM to metal bonded items, to Nitrile or otherwise known as NBR to metal bonded items. SBR, Viton, and other rubber formulas can also be used for this. We can use all of these materials in the creation of dual durometer pieces, overmolded pieces, pieces with custom colors, or any other type of item you may need. Our custom rubber molding services are done entirely with precision steel tooling that we make in our own CNC shop on modern machinery. By using real steel and not temporary tooling, we ensure that our rubber items are made with consistently tight tolerances and you save money because they have the best lifecycle cost. These tools can be made relatively inexpensively and last for thousands of production cycles. Our custom molded silicone is another one of our specialties. Infact, we are the home of the fastest complete silicone services from proto to production. We offer silicone injection molding with the use of our large injection presses. We can shoot up to 15 pounds of material with every cycle. Our facilities are home to several compression presses. We also own and use our own transfer presses. We perform the fastest silicone production tooling services to ensure that your project gets up and running quickly and efficiently. From there, we can go on to produce a number of items in high volume or low volume production. Custom silicone to metal bonded items for demanding applications. Silicone injection molded pieces to serve the medical field's surgeons and healthcare providers safely and reliably. Items with custom colors or dual durometer characteristics. The material is ideal for optically clear items. Also, because it's optically clear by default, it's perfect for creating items with crisp, clean, and unadulterated custom colors. It's a UL listed material that's naturally non-toxic and immune to the build up of bacteria or other dangerous microbial threats. This makes it ideal for use in healthcare supplies. Our fastest silicone production tooling offerings are the easiest way to quickly start manufacturing. We can create tooling and prototypes in as little as a few days. Depending on the size of the required tooling, it may take longer. However, we remain ahead of our competitor's speed by weeks. Sometimes, we're faster by months. We have nearly fifty years of experience working with custom silicone under the same management. We've remained consistent with our ownership and processes and that shows in the unparalleled consistency of our work.